Statistics show that the most common claims on home insurance are water damage related. There are many possible causes of water damage that could harm a home such as bursting pipes; heavy rain and bath overflow accidents. Often water damage is caused by accidental bath overflow. Bath overflows can happen in a bathroom that has been designed to be disability friendly. 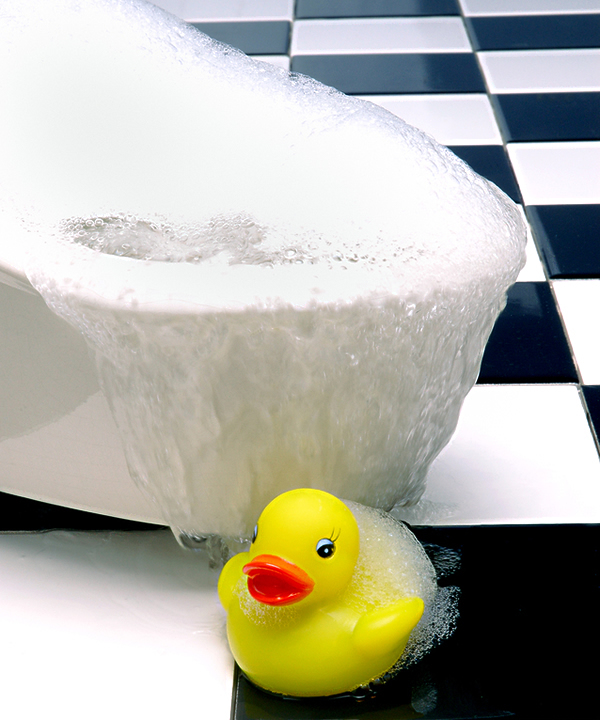 Even if water from a bath overflow is clean, it can still cause bacteria to grow that can harm you and your family. The threat of bacteria growth could develop when a bath overflow happens and a significant amount of time passes before you get the mess cleaned up. A bacterium grows with time and in warm temperatures. This could drive contamination and damage that could easily harm not just your home but your loved ones too. Bath overflow from the second floor of your home even if it is caught quickly could create small bubbles in the ceiling downstairs. If this happens your ceiling could start leaking water and cause discolouration at the best and you could be up for some expensive repair bills. If a large amount of water leaks your ceiling could begin to sag. If it does you must avoid entering that room as more water or debris could fall that might injure you. Ensure that everyone stays out of the downstairs area (whether it’s a basement or the first floor of your home), as it could be dangerous. Bath overflow could easily damage plasterboard. When wet it could weaken so badly that it could be beyond recovery. There is nothing more you can do but replace all the plasterboard in your home that is damaged. This can bring a big inconvenience and expense. If a large amount of water is running down the walls you may want to shut off the electricity. Water in your electrical system is very dangerous. You will need to call a plumber and an electrician, which will cost you even more. Bath overflow can ruin your flooring, especially if it is made of linoleum or wood. You might have a hard time asking your home insurance for repair cost reimbursements. Once bath overflows happen and seep through the ceiling and walls, water can drip down and damage your home furniture and appliances. Bacteria can begin to grow in your carpet and furniture and will produce a foul smell and can be harmful to your health. Water can soak into the subfloor and the moisture could cause your subfloor to become so damaged that it has to be removed. Removing the subfloor is the only way to make sure your home is dry. It may not be completely wet but even the slightest moisture can cause damage. Removal will make sure the subfloor is free from bacterial growth and foul odour. If bath overflow happens shut off the water source straight away to minimise potential damage. Bath overflow needs immediate action so cleaning and repair is the next step. Mould growth and structural damage will occur if it is not addressed in a timely manner. To stop this from happening and to complete a disability friendly bathroom you should consider making it bath overflow proof to ensure your home is protected from such costly accidents. This will save you from preventable expenses and dangers.